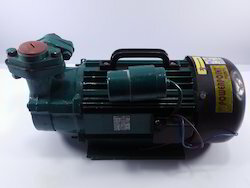 High Pressure pumps are used for Hydro Testing, Car Washing, Scooter Washing, Wagon washing, Agriculture Spraying, Sprinkling and many other applications. 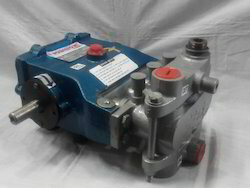 Line Pressure Booster pumps for Bathrooms. 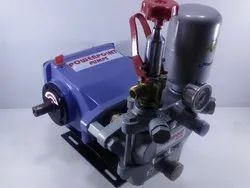 These pumps are home pressure booster pumps used for incresing line pressure in bathrooms.These are multistage pumps fitted with pressure control switches.Operating pressure is between 2.5 to 4 bar. These are monoblock pumps fitted with pressure control switches for increasing line pressure in bathrooms,shower panels,jacuzzis. 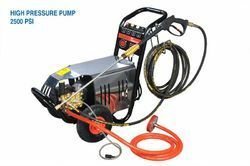 "POWERPOINT" High Pressure spray pumps are teiplex plunger pumps used in high pressure cleaning applications.These are available in 1450PSI & 2500 PSI sizes.These are complete with electric motor,base frame,spray gun,hose pipe in ready to use form. 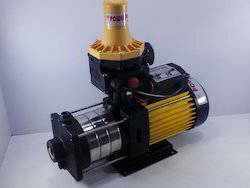 "POWERPOINT" High Pressure Monoblock pump is 1 HP,220 Volt single phase Pump which can five pressure upto 7 kg/cm2.It is ideal for RO,Domestic Vehicle washing uses.Available in Brass MOC also. 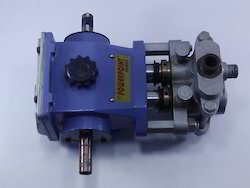 Inferable from the devotion of our persistent experts, we have earned a presumed name in manufacturing and supplying the finest quality arrangement of High Pressure Monoblock Pump. The gave monoblock is exactly intended to satisfy the interest of water at local level. Under the strict direction of talented experts, our gave monoblock pump is produced utilizing quality tried segments & forefront innovation. 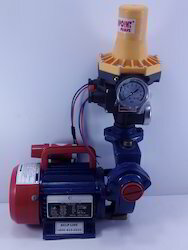 Generally known for high pumping proficiency, our offered pump is accessible at sensible cost. 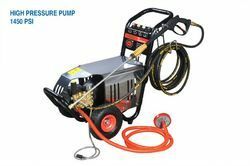 "POWERPOINT" High Pressure Triplex Plunger Pumps are meant for high pressure cleaning services.These pumps are available in 1450psi & 2500 Psi respectively.These are complete with motor,trolley,Spray Gun & hose pipe. 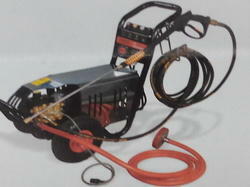 Very usefull for servicing of heavy vehicles. Banking on the skills of our qualified team of professionals, we are engaged in presenting Vehicle Washing Pump. 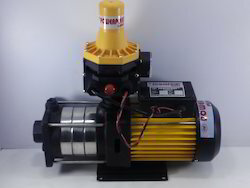 This Vehicle Washing Pump is extensively used in garages and automobile service centers. Our product range is designed by using sharp edge technology and quality material. 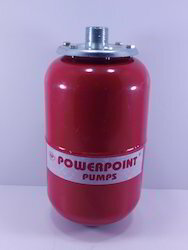 "POWERPOINT" Pressure tanks are available in sizes of 5L,8L,19L,24L Vertical & 24LHorizontal,60L,80L,100L respectively.These tanks store pressure hence used for pressure boosting application along with pumps. 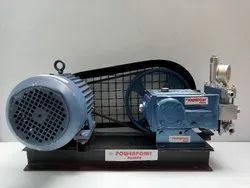 "POWERPOINT' ur respected clients can avail from us an excellent quality collection of High Pressure Spray Pumps that is fabricated and designed using premium quality basic material and progressive technology. 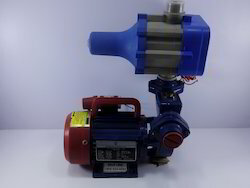 These pumps are made by well qualified professionals following high definition production principles to ensure its unmatched quality and higher durability. 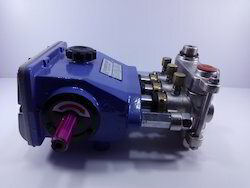 The offered collections of pumps can be used in booster system, high pressure flushing system and water supply. 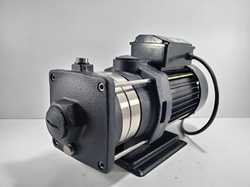 PowerPoint make multistage Pump 1 Hp 220 Volt Ac ,Port 1" x 1"